You can’t go anywhere lately without hearing about the latest TSA (Transportation Security Administration) policies regarding more – shall we say “intimate” – pat down procedures. If you opt out of going through a full body scan, you get treated to a pat down which includes the genital area. While people are not thrilled by these prospects, at least some people are having fun with it. Looks like you’ve had your baggage handled. Happy Holidays and have a safe flight! As you can see from the image, it shows a figure with a shocked expression holding a very small piece of luggage in front of their groin. There is some debate about how long this badge will be available as the text mentions the holidays, but if you’re looking to add this one to your collection, it’s probably best to get it as soon as possible. What say you? 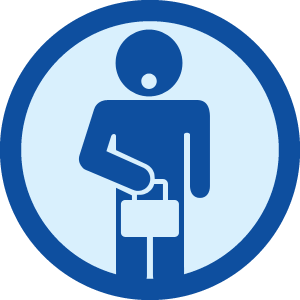 Will you be proudly displaying a “Baggage Handler” badge on your Foursquare account?